Buying silver online offers investors the opportunity to make purchases that suit their individual needs. 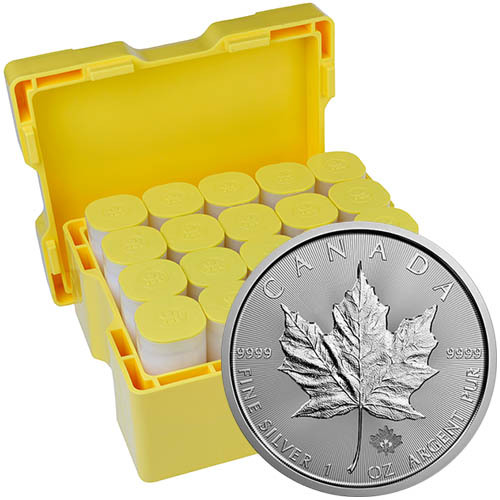 Bullion coins are available for individual purchase, bulk purchase in tubes, or massive bulk purchases in Monster Boxes. One of the best-selling coins offered annually is the Silver Canadian Maple Leaf. Right now, 2018 Silver Canadian Maple Leaf Coins are available to purchase online at Silver.com in a monster box! Ships to you sealed inside of a Monster Box of 500 coins in total! 30th anniversary issue of the Silver Canadian Maple Leaf coin! Queen Elizabeth II’s effigy on the obverse of the coin. Sugar maple leaf image and security marks on the reverse of the coin. Debut application of MINTSHIELD Technology from the RCM! Each 2018 Silver Canadian Maple Leaf Coin in this Silver.com Monster Box issue is in BU condition. Coins in this condition exhibit no signs of wear and tear, but you may notice minor flaws as a result of the coining process. These minor flaws are limited to breaks in the luster, spotted surfaces, and contact marks. For the 2018-issue Silver Maple Leaf bullion coins, RCM unveils its new MINTSHIELD Technology. This breakthrough enhancement for coins includes the application of an invisible barrier on the coin’s surface, which is designed to combat “white spots” during production without impacting the coin’s purity or composition in the process. 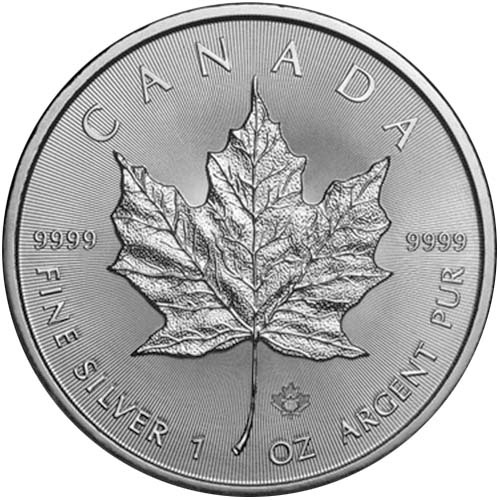 Silver Canadian Maple Leafs are one of the most popular global bullion coin releases. Only the Silver American Eagle coin outsells the Maple Leaf. The Silver Maple Leaf is similar to other bullion issues in that it features the same obverse and reverse design each year, but it is different than many others in that it includes a total of .9999 fine silver content. 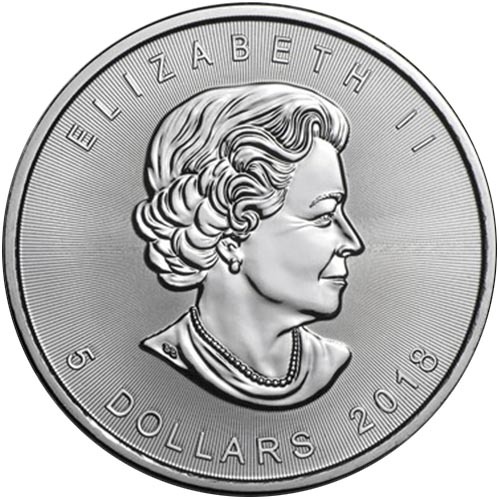 The obverse of all 2018 Silver Canadian Maple Leaf coins features the right-profile portrait of Queen Elizabeth II. The reigning monarch of the United Kingdom ascended to the throne in 1952 and this is the fourth-generation effigy of Her Majesty since that time. Created by Canadian artist Susanna Blunt in 2003, it is just the second design of the Queen from a Canadian artist for the Royal Canadian Mint. On the reverse of all Silver Canadian Maple Leafs, you’ll find the image of the sugar maple leaf. Created in 1979 by Royal Canadian Mint engravers, it has featured on all gold coins since 1979 and silver coins since 1988. This side also features radial lines for security and a maple leaf privy mark that is laser-engraved with a microscopic “18” in the center. This Silver.com listing offers the 2018 Silver Canadian Maple Leaf in a Monster Box. The box includes 500 coins in total, with a total of 500 Troy oz of silver. The coins are all in BU condition and are packaged in the box inside of tubes of 25, with a total of 20 tubes. If you have any questions, please don’t hesitate to ask. Silver.com customer service is available to you at 888-989-7223, online using our live chat, and via our email address.